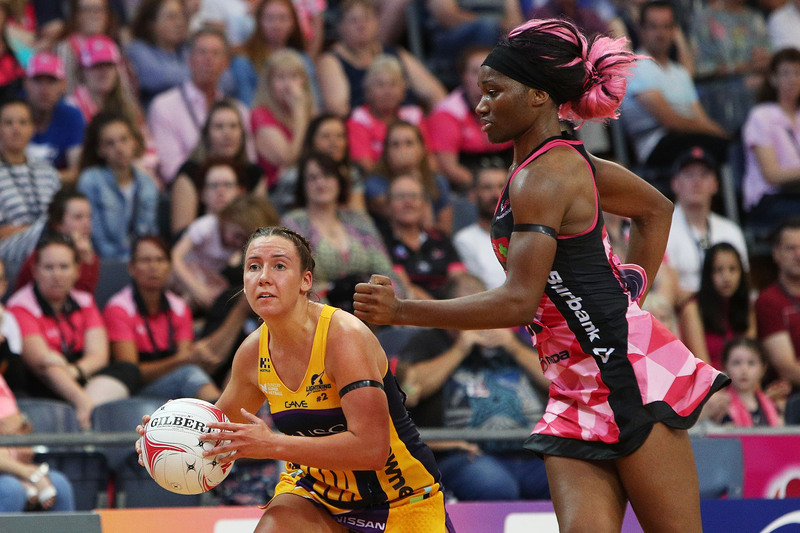 THE OLD SAYING “GOOD THINGS COME IN SMALL PACKAGES” HAS NEVER BEEN MORE TRUE OF WING ATTACKS WHO HAVE SUBMITTED THEIR CREDENTIALS FOR CONSIDERATION AS THE MOST INFLUENTIAL PLAYERS IN SUNCORP SUPER NETBALL. Round three was another shining example of the league’s depth in the midcourt position, with Sunshine Coast’s Kelsey Browne and Melbourne Vixen Liz Watson collecting MVP awards. And, with the exception of relative giants Watson, Chelsea Pitman and Kim Green, it is a diminutive bunch who are calling the shots. Browne could not have chosen a more opportune moment to nab her first MVP award of the season. 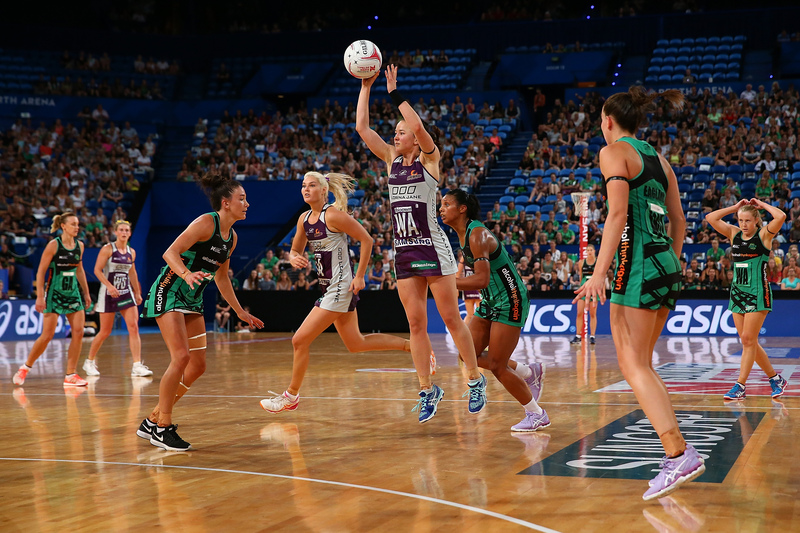 With one of the game’s greats, Laura Langman (foot injury) missing, the Lightning needed others to lift and the little midcourter for the second consecutive week delivered a commanding performance. Following Laura Scherian’s best-on-court performance in the same position in Round 1, the Lightning are blessed with more midcourt depth than most teams in the competition. And, while it was a down day for Adelaide’s attack line, wing attack Pitman could not have done much more to drag her team back into the game. The passes Vixen Liz Watson doesn’t throw underline the improvement to her game this season. With an aerial dynamo (Mwai Kumwenda) and a decisive driver (Tegan Philip) in her sights, Watson has enjoyed numerous options to deliver the pass and invariably chooses the right one. And when the outcome was in dispute in the game’s frenetic final minutes, the Swifts’ Paige Hadley was equally as resolute. This is what you won’t see from Madi Robinson or Kim Green: turnovers. It is so easy to rave about the sublime skills of our midcourters that you occasionally forget the bread and butter stuff that wins games. 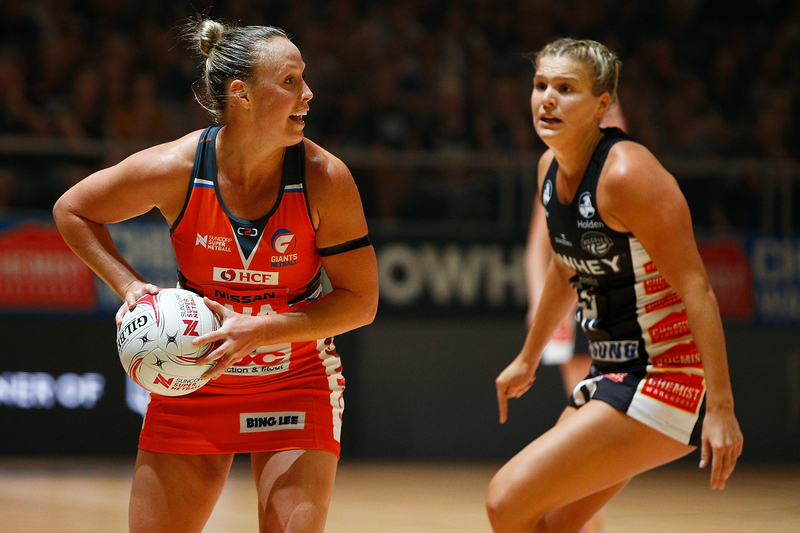 The Magpies Netball and GIANTS Netball wing attacks handle the ball as much as any other players, yet when targets present themselves they never miss. 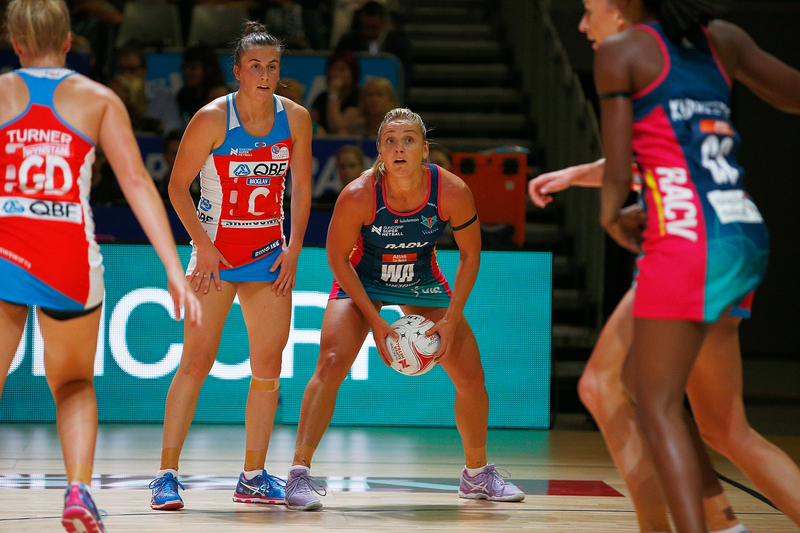 It is no wonder Firebird Caitlyn Nevins has slotted seamlessly in to the Diamonds frame. Improvements made over the past two years have been stunning and she is not yet done. While teammate Gretel Tippett was deservedly made the game MVP, Nevins’s workrate, pass placement and toughness make her the complete package.